I have a confession to make. Whilst I love to read, none of my books ever relate to my job as a researcher - they’re all just popular fiction you’d find on the bestseller lists. Or so I thought. I’ve recently read two books which have made me think about the way we do research, particularly qualitative research. They helped me see the importance of understanding topics from another person’s perspective and translating lived experiences back up to the motivations. It fits into the ‘humourous fiction’ category and whilst this is somewhat fitting, it’s also, without sounding too dramatic, heart wrenching. Eleanor outwardly lives a ‘normal’ life, going to and from work, visiting supermarkets and she has a house to return to. However, as the book goes on more details are revealed about her past that have affected her in some way but isn’t made entirely clear. She also has a mother who no one would envy. 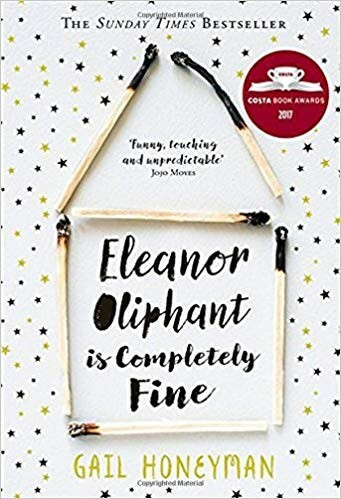 Without giving away too many details, some of the decisions Eleanor makes change her routine and she must try and navigate these new experiences. Eleanor doesn’t always see things the same way as her colleagues. She doesn’t understand why someone would arrive late to a party when the invitation said be there for 8pm, or why two people getting married means you must buy them presents. She’s also not afraid to say what she thinks, speaking her mind with gusto. So, how does this relate to market research? It’s always worth remembering that just because we feel one way about a topic, and it’s accepted by the majority, that doesn’t mean your participant does. Always be neutral and don’t make any assumptions on attitudes or behaviour as you never really know what’s going on in someone else’s head until they reveal it to you. I admittedly started off not sure about where this story was going. At first it seemed as though it was going to be a basic family drama book - don’t get me wrong I’d still have read it and probably enjoyed it but I didn’t expect to find it quite as engaging as it was. 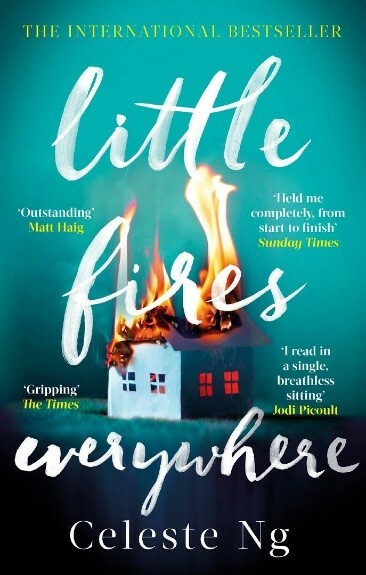 It’s described as a thriller but the fire it starts with isn’t really the focus of the story - it’s a study of the Richardson family and their lives. When an artist and her daughter move in to their rental property it has an affect on each of their lives, but what this book is really good at doing is showing how the bigger picture feeds into each moment. It takes an event it mentioned earlier in the story and takes you through the build-up in detail. Cleverly unpicking the motivations of each character as well as their wider actions. So, how does this relate to market research? This book is a great example of how ethnographic research is essential to really understand different behaviours. For instance, Mrs Richardson’s relationship with her youngest daughter seems strained. At first you might assume it’s just teenage angst and, in other stories, that would be enough. This book takes it further. It delves into their background and really gets to the heart of their relationship. It’s this wider view which provides the context for understanding the situation - it can change your entire opinion of the characters. This demonstrates how we, as researchers, should never take something at face value - you need that context.